For many on the outside looking in, the world of professional sports seems like the perfect lifestyle. If you’re a superstar, those around you treat you like royalty, watching and speculating your every move. Sponsorship deals seem never-ending and you’re getting paid top dollar to be the best at what you do while thousands of fans profess their love for you by chanting and screaming your name. However, what is rarely documented is an athlete’s life after the final whistle, buzzer or ring of the bell. For most of today’s professional athletes, their respected Players Association protects players financially and legally, while providing things such as health care or benefits. This however is not the case for those involved with professional boxing. Fighters who at one time made promoters thousands of dollars and gained the love and respect of many fans more than likely end up alone, homeless and for the most part left with severe mental damage due to countless blows to the head they took during their career. It is a sad, yet very real concept that has been an issue dating back to the late Joe Louis, arguably one of boxing’s most important figures who went to his grave with not a penny to his name. When a fighter retires from the sport of boxing they are left with no benefits or health care and the world of professional boxing wants nothing to do with the matter, ultimately leaving it up to the fighters themselves to fight for their rights. Former middleweight contender, Alex Ramos, stepped up to the challenge in 1998 after living through the hell most fighters face after they step out of the ring as he started the Retired Boxer’s Foundation in hopes to raise awareness and funds in support of those like himself. “I was homeless and there are many fighters that end up penniless. You hear about boxers having problems after their careers are over, that’s why you wind up hearing about these fighters having comebacks or things like that and it’s sad, it really is,” said the Manhattan, New York native. “That’s how all of this came about and it’s hard to get help from the sport of boxing, but I keep trying and trying and it’s going to work. We work hard and that’s how we have to do it, it’s a word of mouth. We want to let the world know and understand what’s going on,” elucidated Ramos. While living on the streets, Alex received help from his now executive director, Jacquie Richardson, whom alongside her husband took Ramos in and provided assistance and the proper requirement to get him back on his feet. 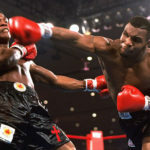 Since its inception in 1998, the Retired Boxer’s Foundation has received generous donations from the likes of movie producer Ron Shelton to American Political consultant James Carville and most recently a $20,000 donation from the late Joe Frazier’s estate. Frazier passed away in November of 2011 and was a firm believer in Ramos’ and the Foundation’s ultimate goal. “That’s someone that believed in what we are doing, it’s a gift from an angel. I thank God that he believed in us. I have known Joe Frazier for a long time. I knew him during my career as well but it’s wonderful what he did,” said the Bronx Bomber. Over the course of its 14 years of establishment, the Retired Boxer’s Foundation has gained representatives all around the world. With a universal medical advisory board, the Foundation provides top neurologists and neurosurgeons in order to provide former fighters with the aid they need. From doctors in Whales and England to those in California and Washington, every fighter is important and is eligible for assistance. Aside from the financial woes many former fighters face, the Retired Boxer’s Foundation also provides assistance in dealing with the transition from the ring into retirement and the acceptance of passing ones prime. The concept of an establishment such as the Retired Boxer’s Foundation is not by any means a new idea as former fighter Jack Dempsey first conceived it in 1960. However, nothing was done at the time, leaving fighters in the situation they are in now. Today Alex Ramos lives day-to-day, month-to-month doing the best he can to help out his fellow co-workers from all parts of the world. His tremendous love for boxing keeps the 51-year-old former middleweight positive that one day his hard work and the hard work of everyone involved with the Foundation will pay off.